We all come from primordial soup. Plus a dash of key and fill. But really, where do we all end up…if we’re really lucky? Why working in and around live production, of course! For my part, I started in 1988 at WJAR-TV, the NBC affiliate in Providence, Rhode Island. In fact, on my very first day on the job I operated a Chyron 4100 character generator. Today, I’m Director of Marketing here at ChyronHego. I guess you could say I’ve come full circle! Although, if I’m being fair, the broadcasting seed was planted, nurtured, and harvested even before then when, as a college sophomore, I was given the run of the campus television studio and all of its toys. Those toys sure have changed over the last thirty years (anyone remember how to reel-up an AMPEX 2-inch Quadruplex VTR? ), but the game of live production remains as exciting as ever. I’ve just returned from shooting a video with the Bristol City Football Club in Bristol, England. Watch this space for a look at that video testimonial soon! I hired a great UK-based crew who live, eat and breathe video production – live and otherwise. One morning over a traditional English breakfast of beans, sausage, and toast the director of photography and the assistant cameraman got into a heated discussion over the merits of shooting video on Canon versus Nikon. The DoP insisted that Canon was the only way to go, even going so far as to state with unequivocal certainty that Nikon is an awful capture tool for video. His assistant strongly preferred Nikon, but clearly knowing who “butters his toast”, eventually vacated his position and deferred to his senior colleague. It’s funny how that works, isn’t it. However, it was then that I interjected that Nikon was actively engaged in the live production video space. As an example, I pointed out that ChyronHego has partnered with Nikon to create a fully managed, data-driven image capture solution (right). 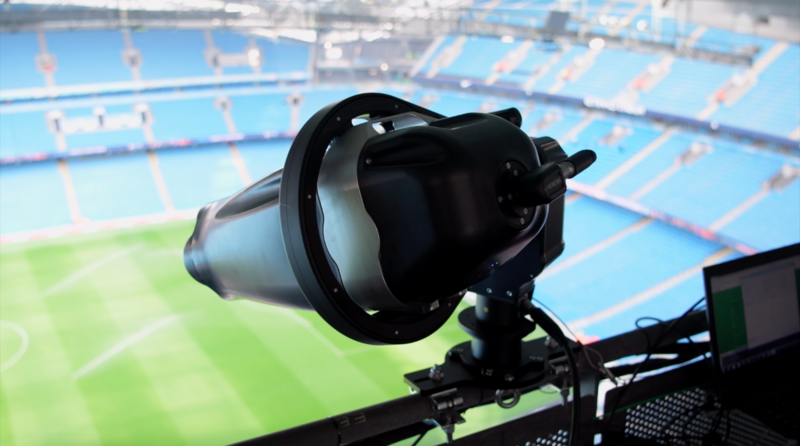 Employing our Live Assist Panels solution as a control interface, users can control both the Nikon POD camera and ChyronHego’s Click Effects PRIME stadium and arena fan engagement solution. The result is a new type of ISO video camera driven by our TRACAB optical player tracking system. Integrative innovation at its finest, I'd say! Later that day, while shooting the video with Bristol City Football Club, an interesting thought had occurred to me. 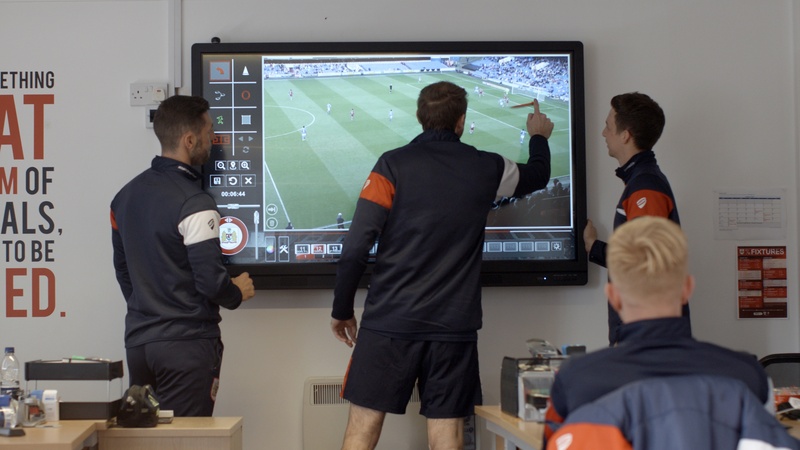 Here we were, working alongside one of the top teams in the Championship League whose Head of Sports Performance Analysis was demonstrating how he uses ChyronHego’s Coach Paint and TRACAB in unison, mixing video and data, to gain critical and competitive insight on his player’s performance during practice, in games, and in player rehab. These two ChyronHego products began their life in live sports production. Coach Paint, having evolved from the leading sports telestrating solution we call Paint, and TRACAB our optical player tracking solution. Yet standing right in front of me is a young man who goes by the title of Sports Scientist, who works with and counsels professional footballers and who has absolutely no broadcasting or live production experience whatsoever, giving Coach Paint a serious workout on a large touch screen (below) as good as any Monday Night Football television commentator. The world of live production, and the tools that make it as exciting a place to earn a living as it ever was, are actually transcending and enhancing completely unrelated occupations and businesses. So, where is all of this leading us? What Darwinian (or should I be referencing Farnsworth?) evolutionary steps lie before us as we prepare to cross the threshold to 2018 and beyond? It’s going to be a fascinating trip. Here at ChyronHego, we’re actively engaged in or leading the product design and engineering development of next-in-line technologies, including HD and UHD HDR graphics production, SMPTE 2110 standards for IP networking production, and of course, Virtualization via our VPX virtual production server. In the end, it is your passion for live production that drives our passion here at ChyronHego. And I think that’s a pretty good place to end up.